A lifelong resident of Cleveland, Ohio. Prior to graduating from Cleveland Law School in 1912, Grossman served as a legal secretary for 16 years. In 1918, she was one of the first women to be given membership in the American Bar Association. Grossman was the treasurer of the Woman Suffrage Party of Greater Cleveland. She also served in the Wage Earners League. She served alongside other suffragists to gain a suffrage amendment passed through canvassing even after multiple loss attempts. She was a member of the League of Women Voters in Cuyahoga County. With the ratification of the 19thamendment, Grossman was inspired to enter public office. 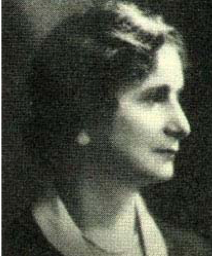 In 1923, she became the first female municipal judge in Cleveland. Grossman earned endorsements from organizations such as the National Council of Jewish Women, the Women’s City Club, and the Cleveland Bar Association.